Whether you need a therapist, counselor, or psychiatrist, we are a compassionate team who works closely with you to help you realize your goals. Our therapists and counselors are highly trained to listen and help you sort through your challenges to live a happier, calmer, and more enriching life. You’ll work with professionals in a safe, non-judgmental environment, so your experience with the therapist or counselor will be rewarding and respectful. Helping people meet life’s challenges by providing the skills, support and hope needed for effective, fulfilling lives. "I have nothing but wonderful things to say about my experience here. My sessions were always handled with care in which I felt important, encouraged, heard and loved." "I appreciate the friendliness of the staff (welcome at front desk) and confidentiality overall. This was just what I needed to overcome issues I’ve been dealing with. Your service was a great blessing for me." "Trina made us feel comfortable and was a true blessing to our family." 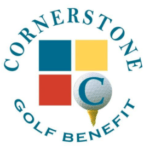 "We have been blessed with all the support we received from Cornerstone. Amanda is a great asset to everyone. Again thank you very much for everything." "Kim W. is a wonderful therapist and overall genuine and caring lady. I felt at ease with her right away." People around you do everything they can to acknowledge you. They greet you by name, shake your hand, make eye contact, maybe give you a hug. People you encounter make it a point to show their appreciation for you and the things you do. You are thanked, complimented and encouraged. People around you pay attention to you. They find ways to be helpful and kind. They attend to your basic needs. They ask for your opinions, your hopes and your dreams. The same people who acknowledge, appreciate and attend to you demonstrate by their actions that they respect and accept you unconditionally. Cornerstone is working to become a place where people know that they matter by the way they are acknowledged, appreciated, and have their needs attended to. We believe that hope generates action and action leads to change. We do this work because we believe everyone deserves to know that they matter. That’s why we call our vision “You Matter”. Cornerstone Foundations for Families began as Family Service Agency of Adams County on November 6, 1947. It was through the hard work and perseverance of Fabiola Moorman and Jean Suhren, the first board president, that the city of Quincy and Adams County recognized the need for a social service agency. Our founders worked hard to ensure that Family Service Agency was off to a good start. 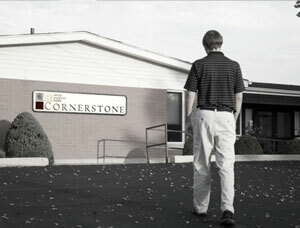 In 2002, our name changed to Cornerstone Foundation for Families. Over the years, Cornerstone has grown and changed as the needs of the community have changed. Cornerstone is licensed by the state of Illinois as a child welfare agency, providing a variety of family support and counseling services.